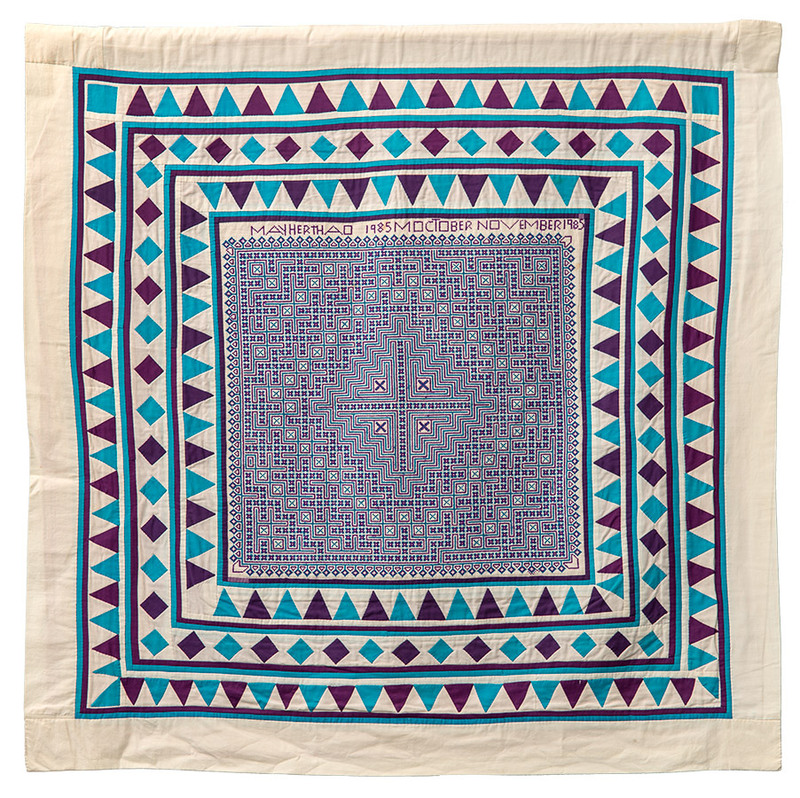 The story of Hmong textile production in the diaspora reflects the radical upheaval in the external environment that Hmong refugees experienced. 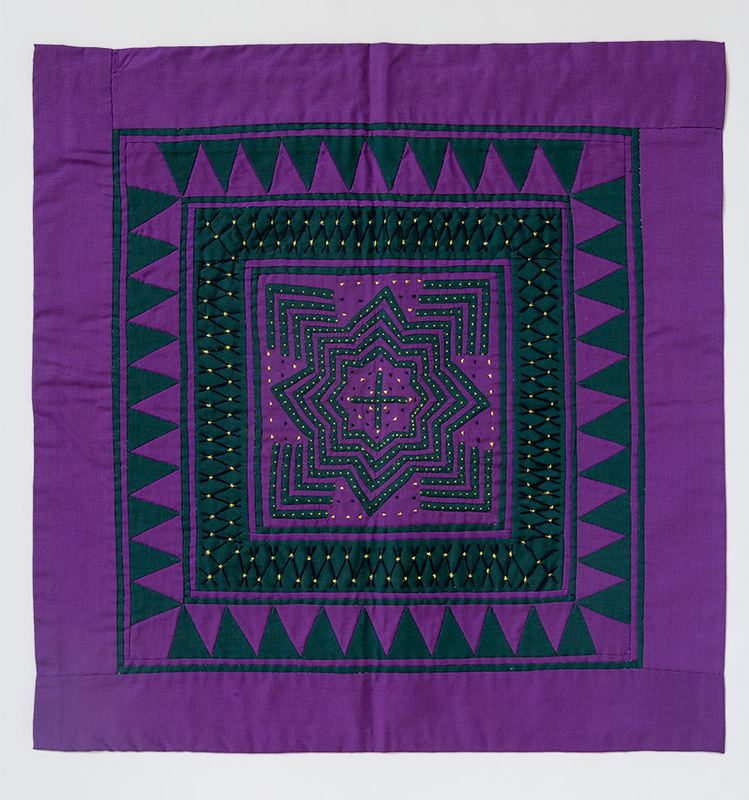 In traditional Hmong life in Asia, women produced complex clothing that established clan identity through abstract geometric designs in the textiles, created by embroidery, appliqué, reverse appliqué, and indigo batik (by the Green Hmong). The designs reflect a deep animist philosophy and are inspired by nature. They continue to influence the aesthetic choices of contemporary makers, even as those choices were mediated by refugee experiences and economic concerns. Historically, textiles in village life were not sold, but they held important spiritual protections, such as the colorful baby carriers and hats designed to disguise the children from evil forest spirits who might try to steal their souls. 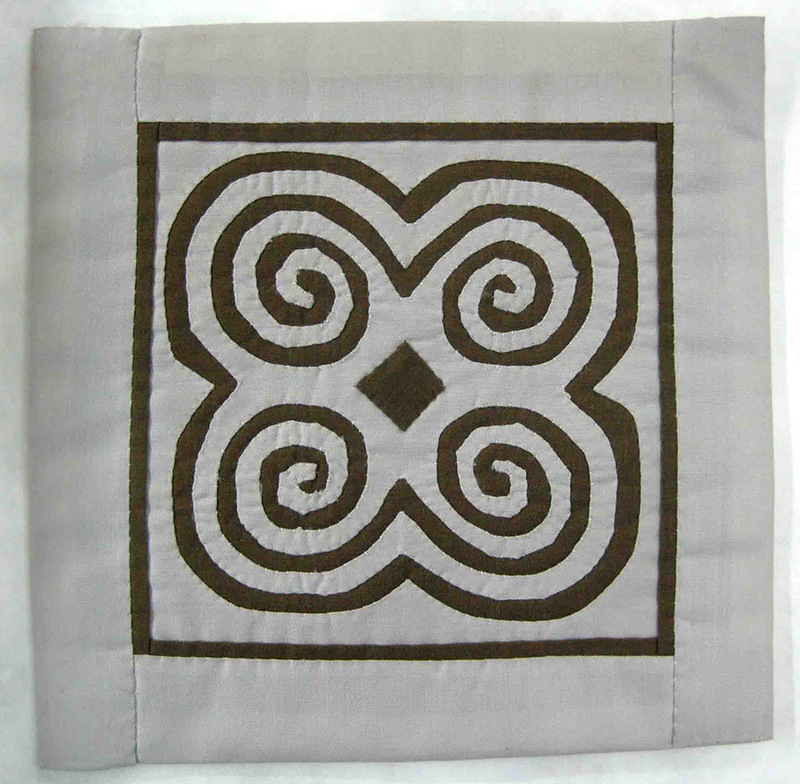 In refugee camps and later the diaspora, the sale of textiles generated important income for families, as it created conditions for innovation, such as the embroidered story cloth. Although the sudden emergence of a pictorial or quasi-representational embroidered art from a geometric, very stylized ornamental art is highly unusual, it is another fascinating aspect of the textiles as cultural text. 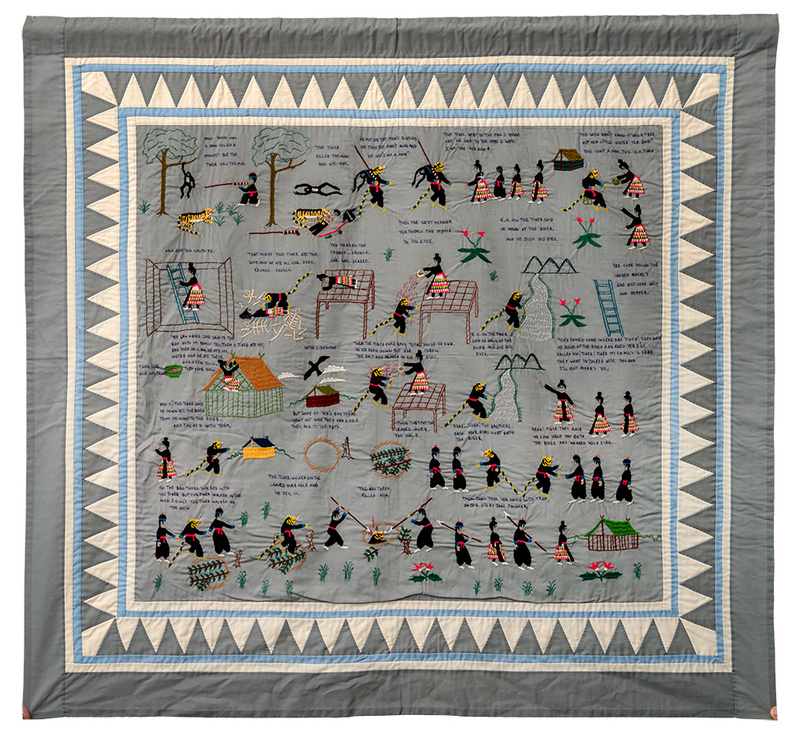 Escape narratives were the predominant theme of story cloths made in the camps, revealing a new Hmong concern with geo-political borders since crossing the swift Mekong River to safety in Thailand was the route for most Hmong who left Laos. 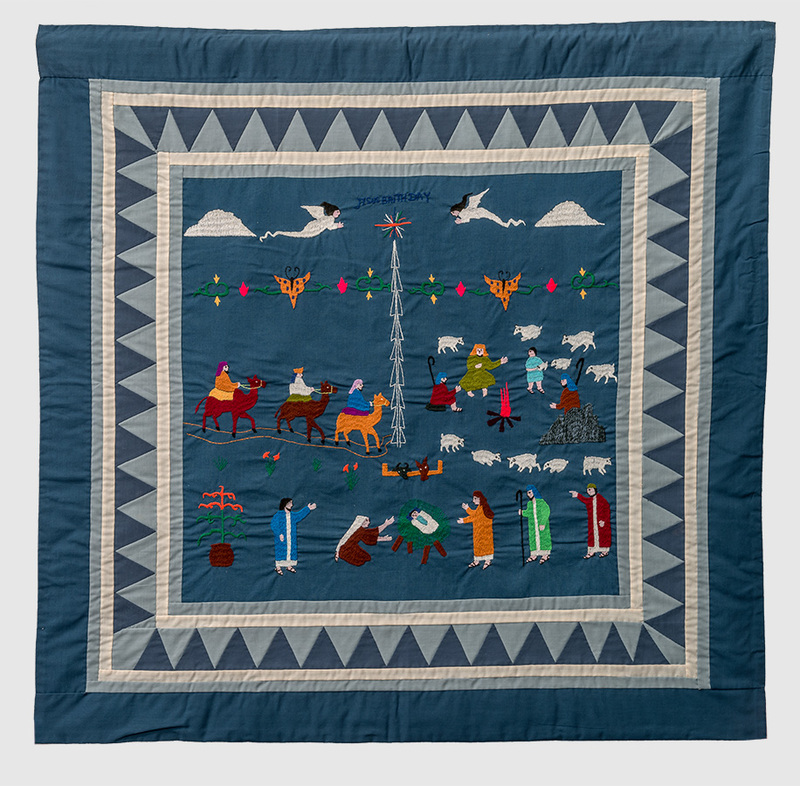 Many Hmong drowned or were shot when attempting the crossing, and it became a central element in most early story cloths, as did the incorporation of first Hmong and then English text. 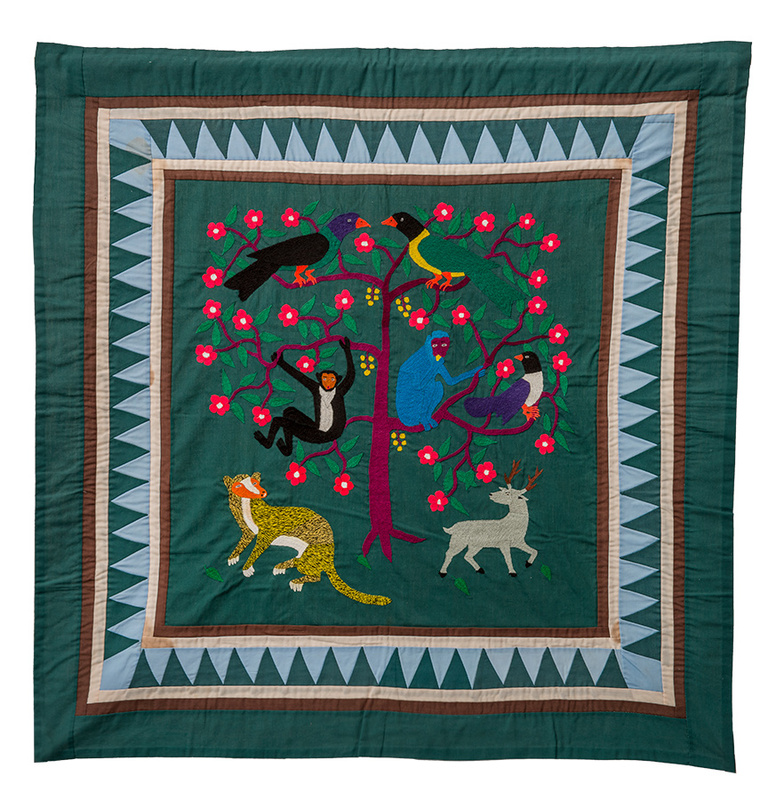 Yet, as the memory of the war receded and US buyers required more sanguine subjects, many of the story cloth subjects morphed into representations of a new life in America—a Nativity scene—or nostalgia for the pastoral life left behind—animals in a jungle, scenes of village life, or illustrated Hmong folk tales with English text. 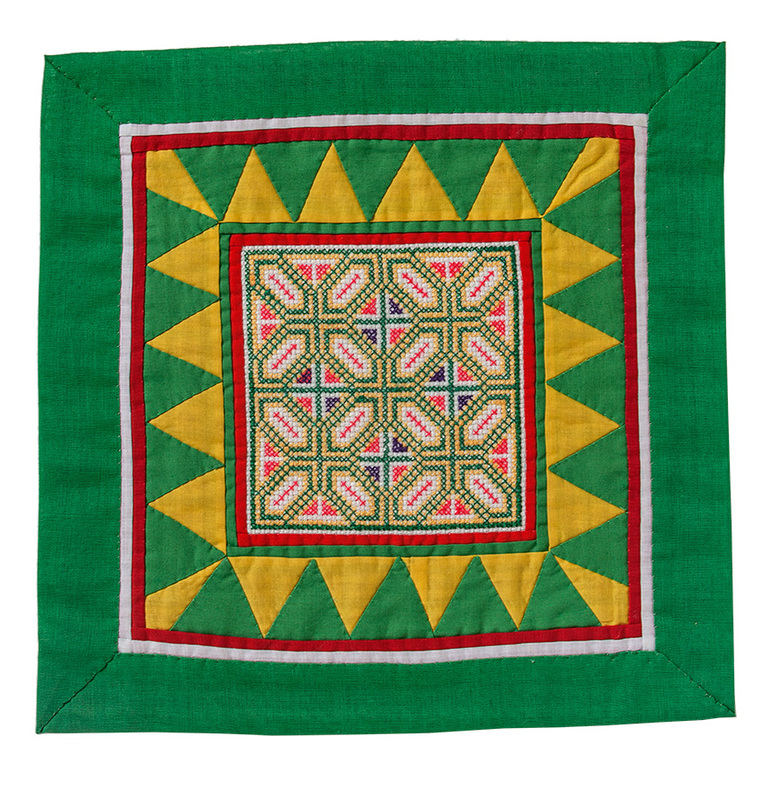 The works in this exhibition demonstrate a period in time when old paj ntaub influenced new designs, often produced at a larger scale or with more space devoted to the triangular borders, and embroidered story cloths changed to fit a new market that was different from tourists or relief workers in the camps. 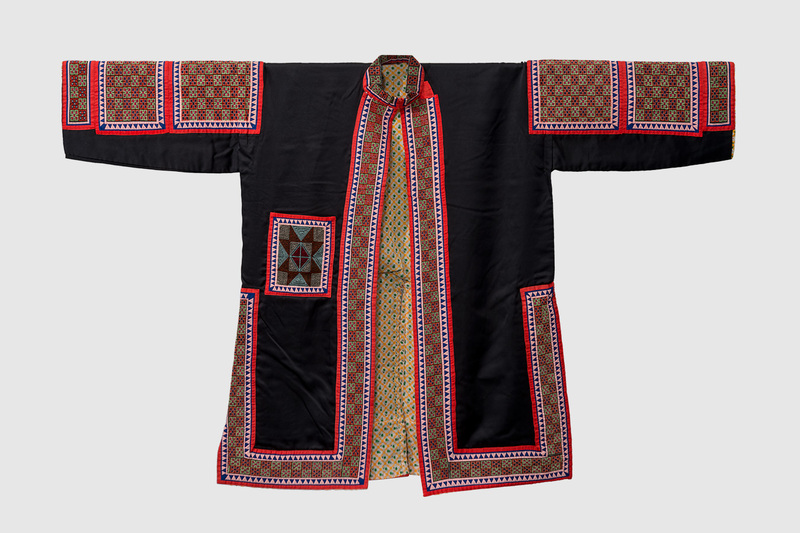 The works show how the profound relevance of textiles as infrastructure in the Hmong social fabric has never been part of a fixed cultural tableau, even as the narrative is adapted to fit new realities. This exhibition was first curated in 1999 by Carl Magnuson, a cultural anthropologist, working with a Hmong refugee community. Curatorial updates have been made by Geraldine Craig, who has published more than a hundred essays on Hmong textiles and contemporary art, in venues such as the Hmong Studies Journal, The Journal of Modern Craft, Art in America, and Surface Design Journal. Craig is currently Professor of Art/Associate Dean of the Graduate School at Kansas State University, and previously served for six years as Assistant Director for Academic Programs at Cranbrook Academy of Art. Cloth as Community is touring June 2014 through October 2022. The dates below reflect seven-week exhibition periods. Dates are subject to change; please contact MoreArt@maaa.org or (800) 473-3872 x208/209 for current availability. This exhibition is currently fully booked. Request to be added to a wait list. The exhibition is fully insured by ExhibitsUSA at no additional expense to you, both while installed and during transit.